"He is loyal to them, their soul, their thought, their rhythm, their scream …" Eléonore de Montesquiou’s film starts as we see the usher’s feet tap to the song while the spectators enter the cinema and look around, excitedly. 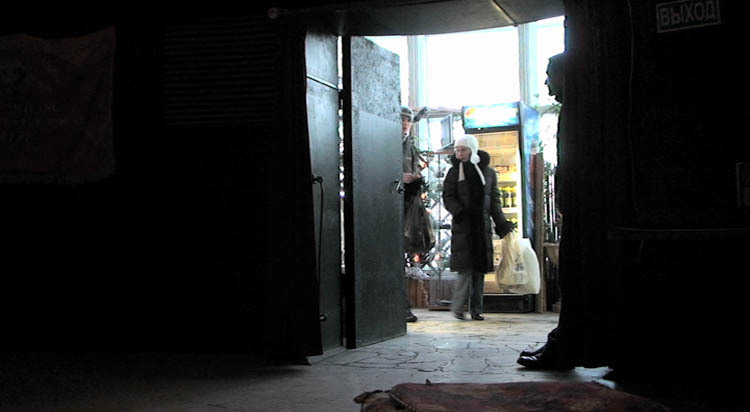 The Circular Kinopanorama - Круговая кинопанорама - is a one-of-a-kind cinema in Moscow. 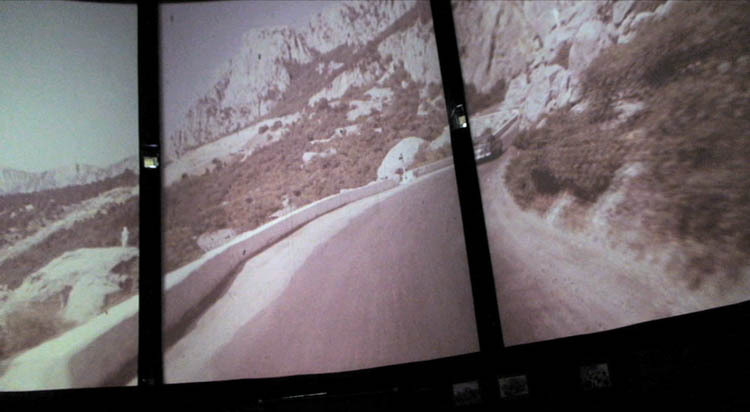 Founded in 1959, it projects films on a circular set of screens with a horizontal 360° view. 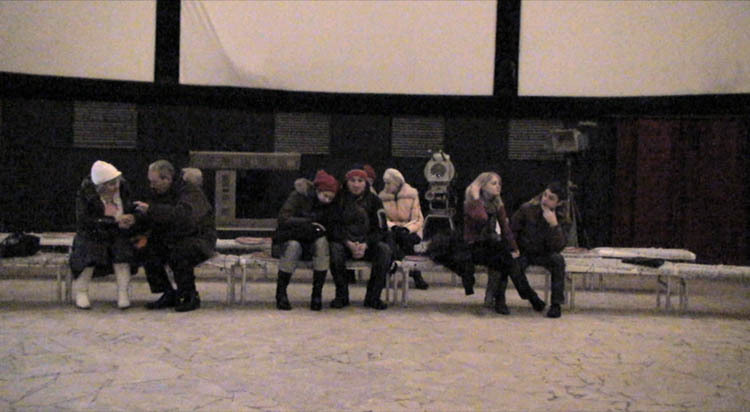 Moving images from 11 synchronously working cameras are shown on the 11 different screens of the Kinopanorama. It is the Yakovlev design bureau, the very manufacturers of the famed WWII fighter aircrafts, who developed a suspension device for shooting circular films from a helicopter. 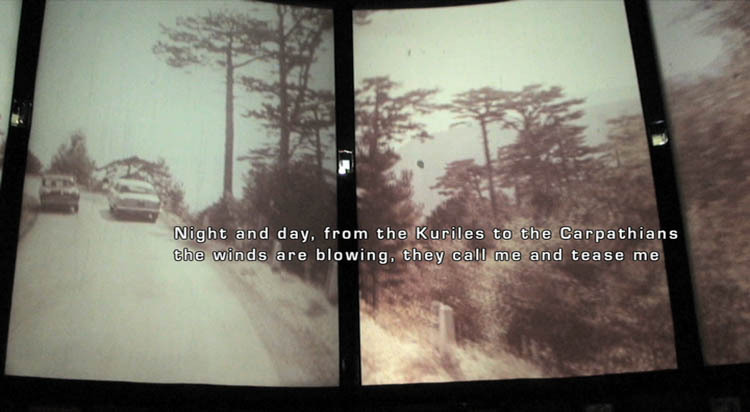 This technology allows the viewer to be taken through the whole optimistic and beautiful Union. 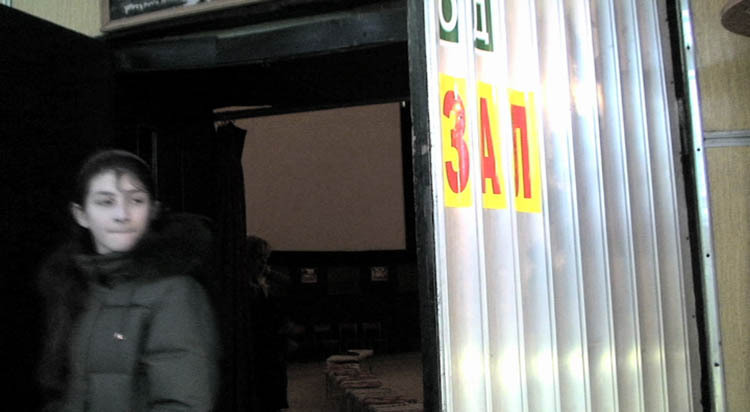 The particular screening chosen by de Montesquiou for her film – "ВОЗЬМИТЕ НАС С СОБОЙ, ТУРИСТЫ!" ("Take us with you, tourists!") 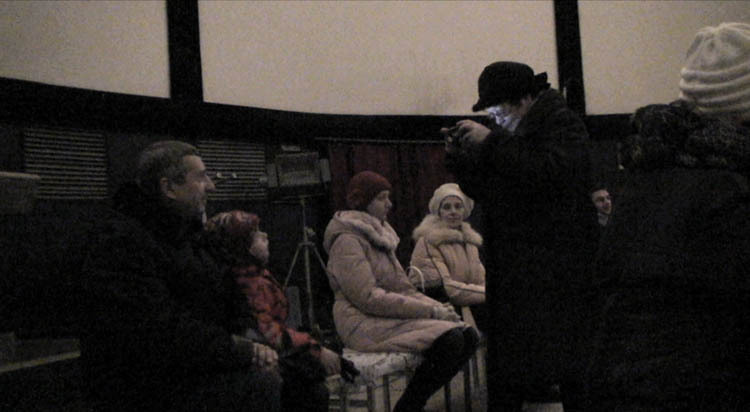 directed by I. Bessarabov in 1966 – strikingly reflects an enthusiasm for sightseeing. During Soviet times, tourism inside the Union was very popular, cheap and without borders. 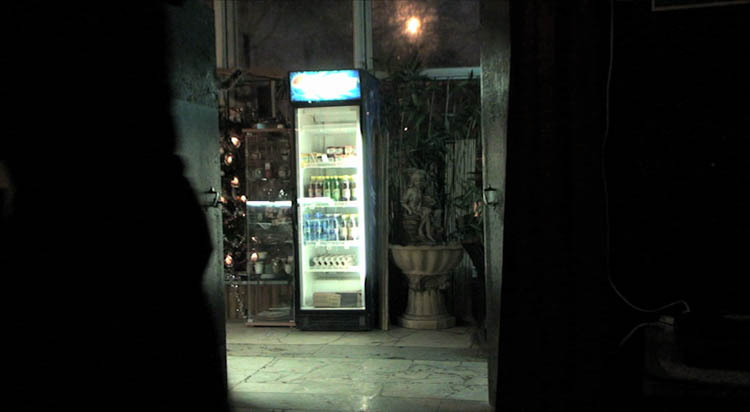 The narrator and two participants take us along from Moscow to Kazakhstan and from Estonia to the Caucasus, the lake Baikal and the Black Sea. The all-encompassing cinematographic eyes make both the spectators and the camera dizzy with the exhaustiveness of the nationalist dream. 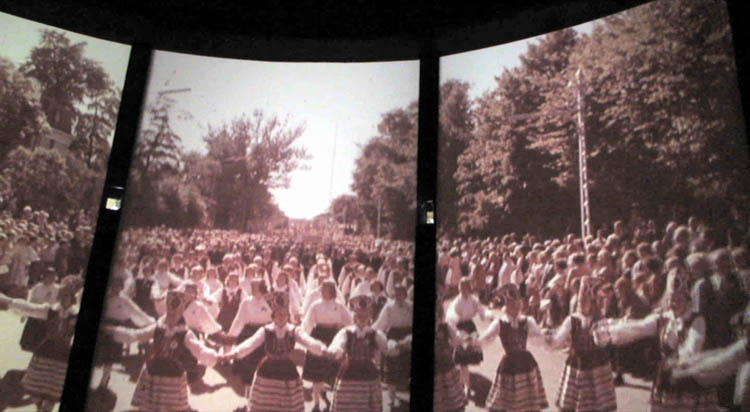 However, it is perhaps in the black interstices between the screens, that de Montesquiou lays bare a political subtext to the touristic gaze: "I was struck by the sequence filmed in Tallinn: the song and dance festival, a true Soviet choreography, which has been re-appropriated by the Estonian people. It is precisely within these song festivals that singing in Estonian language finally led to the so-called "Singing Revolution" and independence of the Soviets. 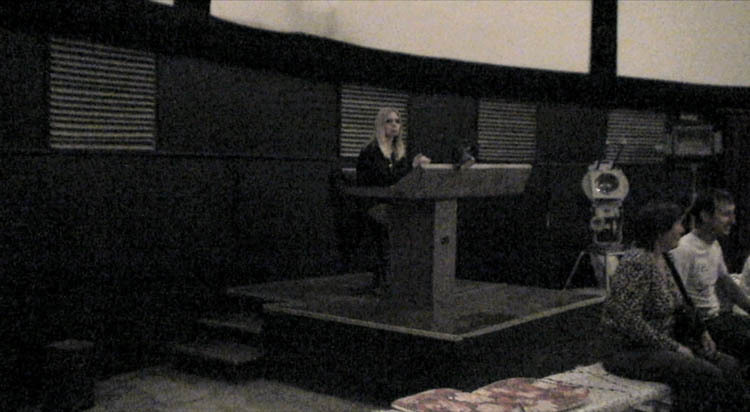 My films deal inevitably with the political intentions here mentioned but my first emotion when I entered was that of a pure cinema experience: the few spectators were sitting nicely on a little bench, I got a very cheap ticket in a run down booth and the séance started… magical!"